On March 7th, 2019, Timothy D. Searchinger of Princeton University gave a lecture on Cook Campus on how to meet global food needs in 2050 while reducing greenhouse emissions. On February 26th, 2019, Katherine Hayhoe gave a public lecture on communicating climate change to an audience of nearly 300 at the Cook Student Center at Rutgers University. On February 26th, 2019, Katherine Hayhoe gave a lecture on localizing global climate change impacts at the Institute of Food, Nutrition, and Health at Rutgers University. On Friday February 22nd, 2019, Rutgers faculty, staff, and students studying the polar regions and cryosphere were invited to share their work in lighting talks (3-5 minutes) and discussion during the morning session. A keynote lecture by Dr. Richard Forster, University of Utah was given in the afternoon. Richard R. Forster is the associate dean of the College of Social and Behavioral Science. 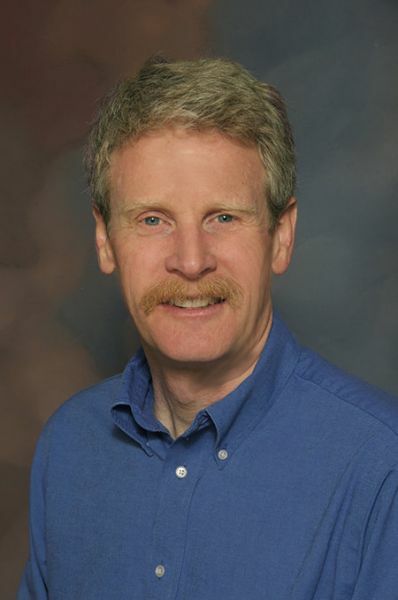 Dr. Forster joined the University of Utah in 1999 and has served as an assistant, associate and full professor of geography over the past 14 years. He completed doctoral training in earth and atmospheric science at Cornell University preceded by a master’s in electrical engineering at the University of Kansas and a bachelor’s in electrical engineering from Lafayette College.Dr. Forster has published over 40 articles and book chapters. His research focuses on using satellite and airborne remote sensing data along with ground-based measurements to derive information about snow and ice conditions at the Earth's surface. More specifically he studies the response of glaciers and seasonal snow cover to climate change. Dr. Forster’s team recent findings include verification that a portion of the summer melt on the Greenland ice sheet can be stored in the subsurface snow pack as water throughout the long cold winter. They also mapped ice surface velocities for nearly all glaciers in Alaska and found that a majority of their contribution to sea level rise is dominated by shrinkage of only a few key glaciers. These results allow us to better understand the present-day consequences of climate change on current global sea level increases. Dr. Forster’s research has been funded by NASA and NSF. Dr. Forster was the recipient of the 2012 CSBS Superior Research Award. In 2009 he received the Associated Students of the University of Utah Student Choice Teaching Award. Other professional honors include recognition in 2002 as a NASA New Investigator and, in 2000, NASA’s Group Achievement Award given to an Antarctic mapping mission team. RCI Co-director Anthony Broccoli presentation "Climate Change: Past, Present, and Future."